Visitors to the LAMMA show at the NEC, Birmingham on Tuesday 8th and Wednesday 9th January will be eligible to a discount on all Topcon X35 and X25 Autosteer kit purchased at the show and will also be able to take advantage of a free activation of Topcon’s Auto Headland Turn feature. The 12.1 inch X35 and 8.4 inch X25 are Topcon’s fully featured, colour screen auto-steering and guidance consoles. 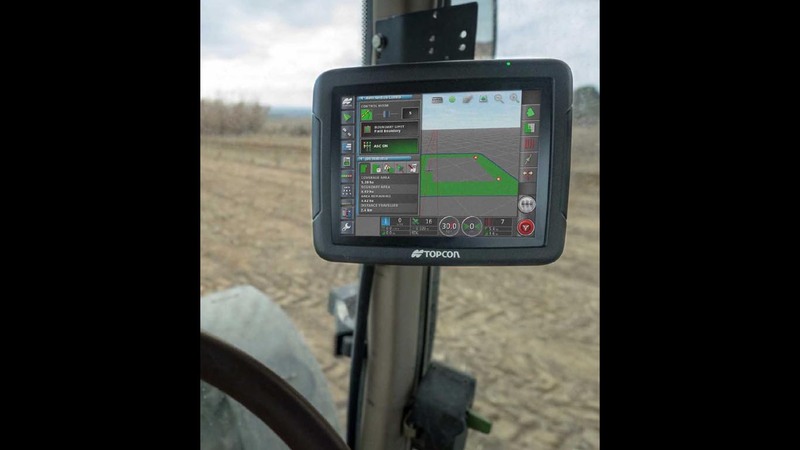 Both use Topcon’s Horizon software to provide icon-based and user-definable views to control a range of farming operations: from auto-steering tractors, sprayers and combines, to controlling variable rate applications and automatic section shut-off of spreaders, sprayers and drills. Topcon’s Auto Headland Turn function enables machines equipped with a Topcon auto-steer system to make fully automated turns at headlands using alternating, infill and single direction infill patterns.